While the majority of techniques for studying heterogeneous reactions monitor changes in the gas-phase concentration, some focus on changes in the condensed phase. One such technique is diffuse reflectance in frared Fourier transform spectroscopy (DRIFTS). This technique has been used in the past as a method for analyzing solids. However, it has also proven very useful for studying the kinetics and mechanisms of the reactions of infrared-transparent solids such as NaCl, the major component of sea salt aerosols as well as synthetic sea salt (Vogt and Finlayson-Pitts, 1994, 1995; Langer et al., 1997). 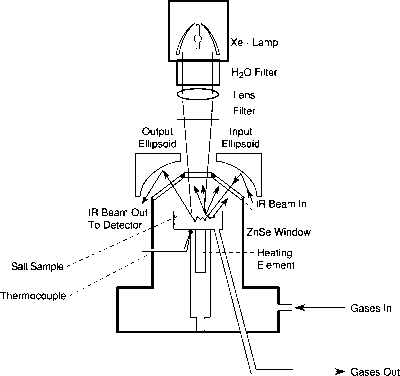 Figure 5.29 is a schematic diagram of a DRIFTS apparatus that has been applied to studying the reactions of the components of sea salt particles with various oxides of nitrogen. As the reactions occur, nitrate, which absorbs strongly in the infrared, is formed on the salt surface. Since the reactant solids do not absorb in the infrared, the increase in nitrate with time can be readily followed and used to obtain reaction probabilities. Traditionally, surface science methodologies have not been applied to problems of atmospheric interest because of the incompatibility of atmospheric conditions and the ultrahigh-vacuum conditions commonly used in the surface sciences. However, with the increasing recognition of the need to understand heterogeneous atmospheric processes at the molecular level, more attention is being focused on the application of these techniques to problems of atmospheric interest. Thus, X-ray photoelectron spectroscopy (XPS), Auger electron spectroscopy, and ultraviolet photoelectron spectroscopy (UPS) have been applied to both solids and liquids of atmospheric interest. For example, Hemminger (1999) reviews the application of surface science techniques, including XPS and TEM, to studying the reactions of NaCl found in sea salt and to A1203 found in soils. Similarly, Fairbrother et al. 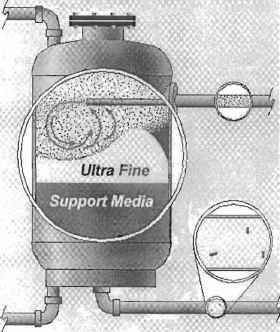 (1996) described a UHV apparatus having several differential pumping systems and permitting the application of both Auger and XPS to the surface of liquid H2S04-H20 mixtures at room temperature. As described earlier, Faubel et al. (1997) have reported the UPS spectrum of the surface of liquid water using thin liquid jets.